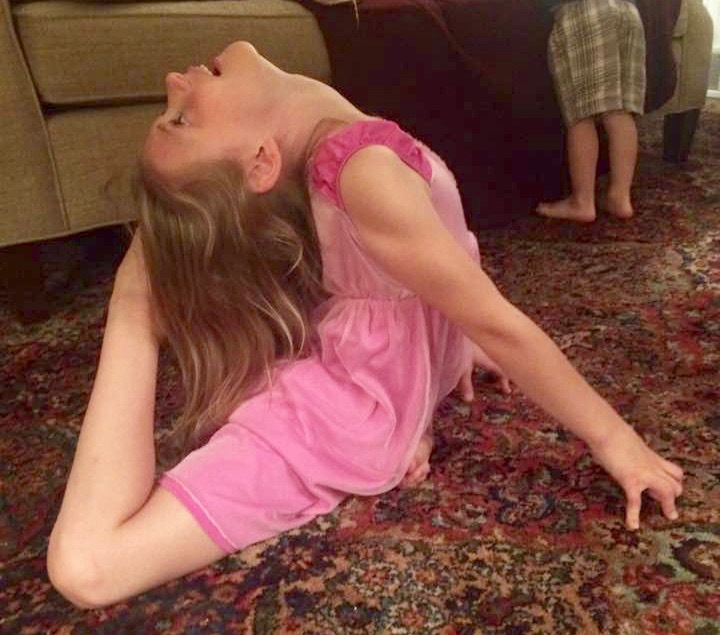 Six-year-old Marley, daughter of certified Iyengar Yoga teacher Vicky Elwell, expresses the sheer joy of tickling her toes with her hair: Rajakapotasana (King of Pigeons). 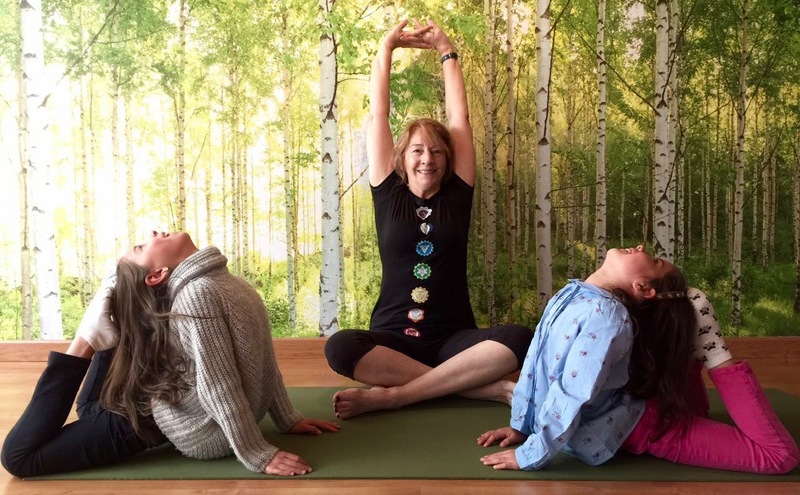 Vicky’s studio, the Yoga Loft, is in Sheffield Village, Ohio. 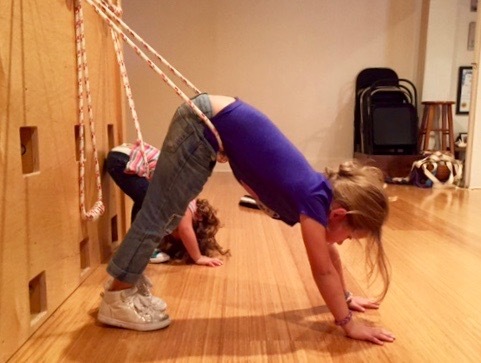 Playing on the ropes in the big kids playroom Adho Mukna Svanasana on the Ropes (Downward Facing Dog Pose). 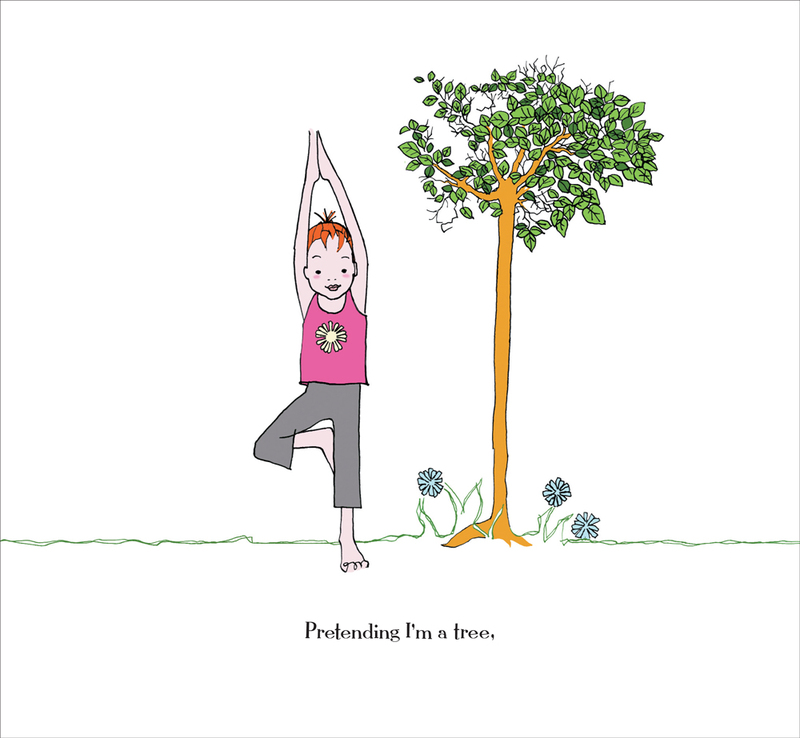 Will these trees sway in the breeze: Vriksanana (Tree Pose)? 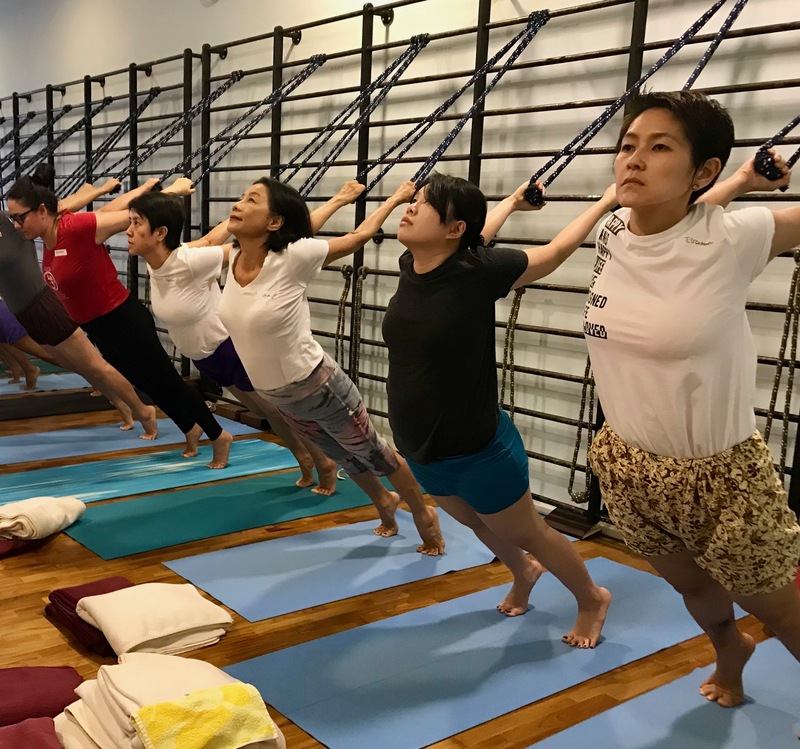 Or be strong and steady, like a triangle: Uttitha Trikonasana? 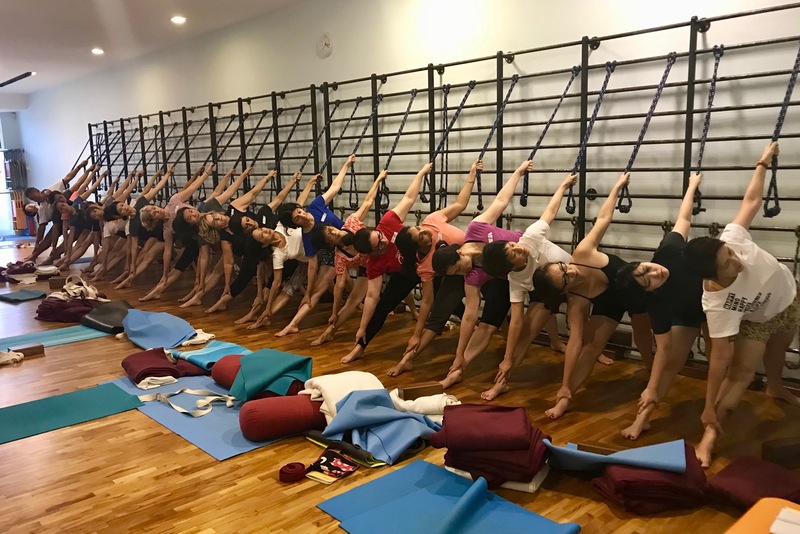 Helena and Irene Ortiz practicing with me at Natural Yoga, Bogota, Columbia. Photo by by their mother, Ilse Bedolla. 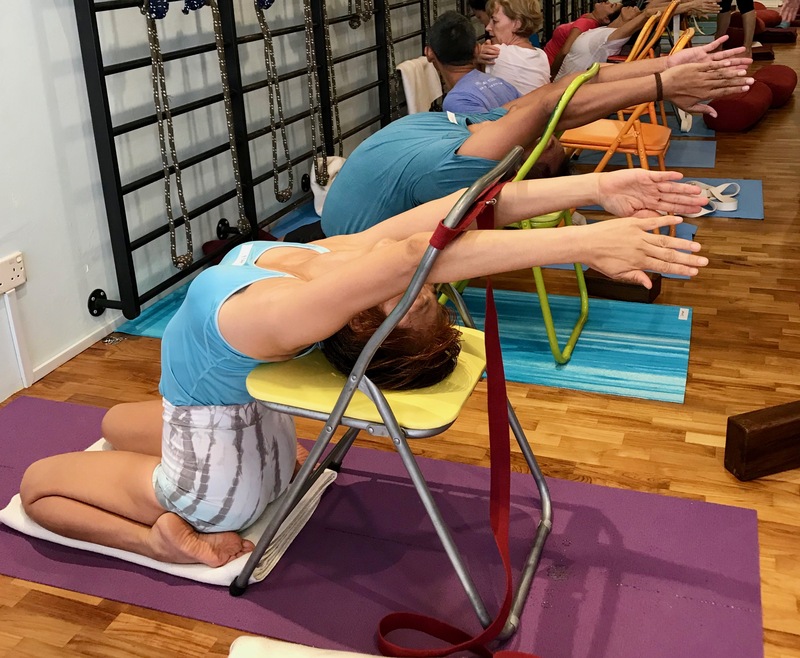 Curl up and around, or stretch up to the sky: Urdhva Baddhanguliyasana (Upward Facing Interlocked Fingers Pose) from Sukhasana (Simple Cross Legs Pose). 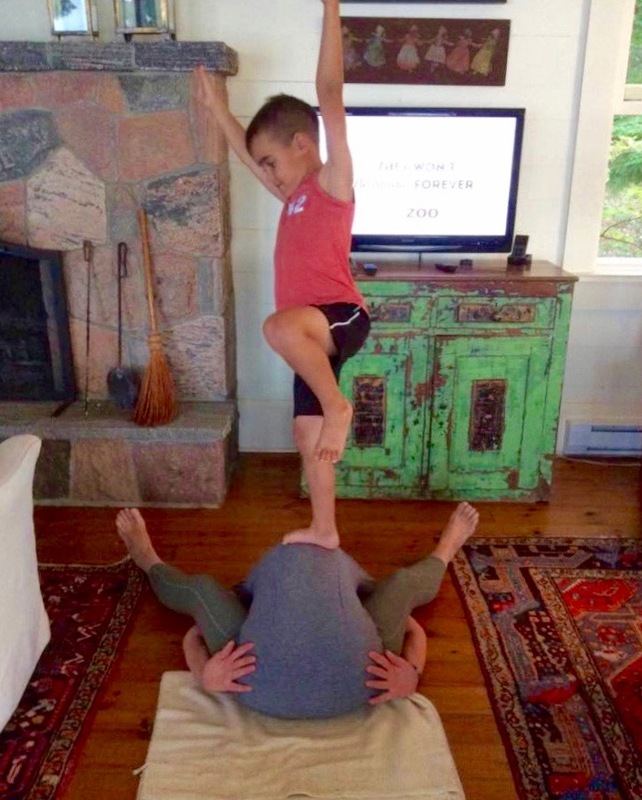 Didi Hall’s grandson has an exquisite sense of balance. 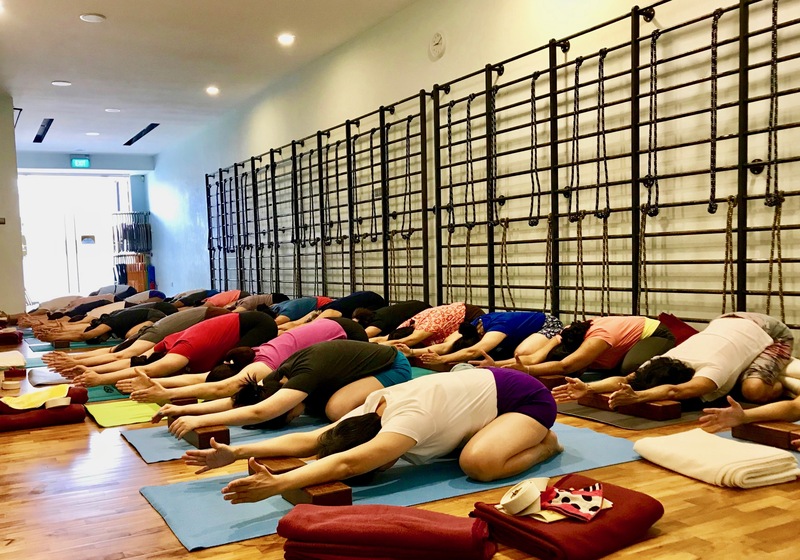 And his tree (Vriksanana) grows in unusual soil: Kurmasana (Tortoise Pose)! 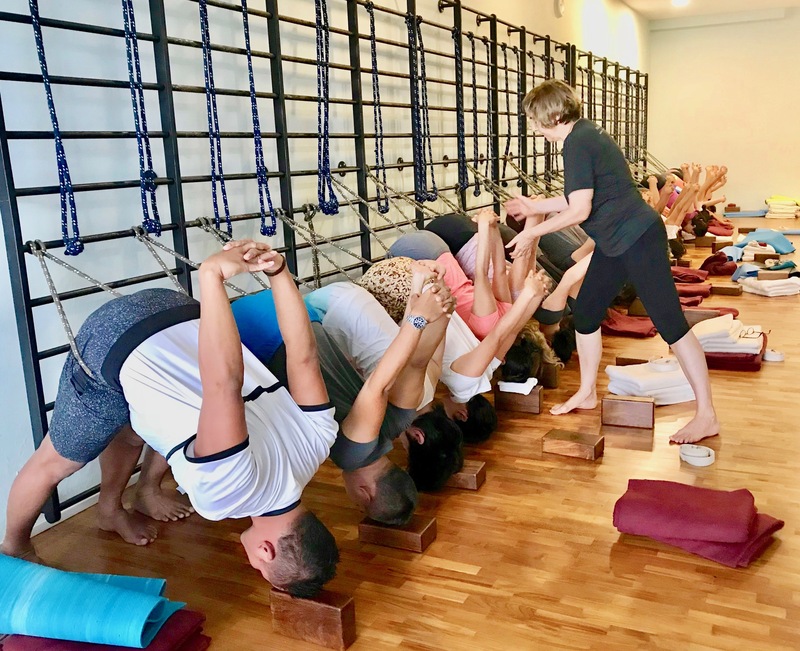 Didi teaches at The Yoga Center Toronto. Stand tall like a tree, with your roots in the ground and your leaves reaching for the sky. 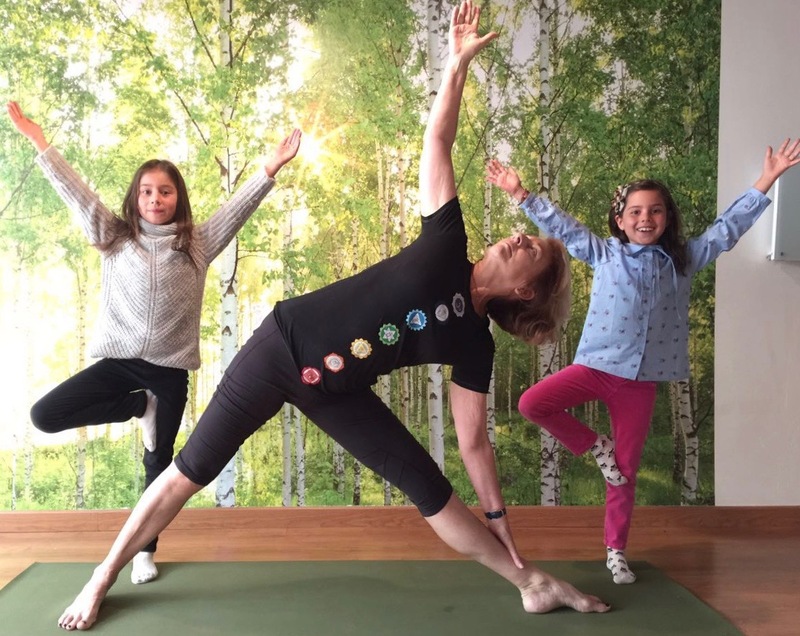 Thanks to everyone who has sent me photos of their kids who were inspired by my book, Watch Me Do Yoga; please keep sending them in. I try my best to correctly credit all the photos, but if I’ve forgotten your child’s name, please send it to me, and I’ll update the post.